Multi-unit properties are a dime a dozen throughout the Metro-Vancouver area. One of the key conveniences of these spaces are amenities like laundry rooms. Accessible laundry facilities can be a major selling point, as well as a necessity to businesses – but that is only when they are working properly! In order to keep your system running smoothly, regular Surrey dryer vent cleaning service is a must. 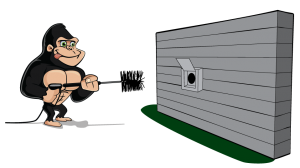 Don’t take chances on damage or increased costs when you can call a Gorilla instead. Every dryer comes equipped with a lint trap. Lint might not seem like much of a threat but in a high-functioning facility, it is very bad news. Clothes dryers might appear compact enough but there is a whole system of vents and ducts behind them. It is common enough to spot a clogged trap, but these thin pieces of mesh aren’t able to catch everything. With each load that passes through your system, small bits of lint and debris sneak around traps and become lodged along the inside of vents. Over time, these materials layer over one another, limiting air flow. With air unable to properly circulate, clothes do not dry properly and this encourages repeat loads, along with unnecessary wear and tear. Repairing or replacing an appliance is an expensive endeavour but it is nothing compared to the potential health risks cause by clogged vents. In addition to being a fire hazard, lint can act as a carrier for mold. The dampness inside a blocked dryer exhaust system gives mold the perfect environment to thrive. As air is carried inside dryers, it can bring down air quality in the laundry room itself. This low-grade air quality can be extremely dangerous for children, the elderly or anyone with a compromised immune system. There is a lot of moving parts that go into your dryer system, so leave the upkeep to the pros! Instead of swiping a rag or broom across a vent face, professional services go in-depth to treat even the trickiest of blockages. Choosing a professional service allows clients access to top of the line tools and techniques. 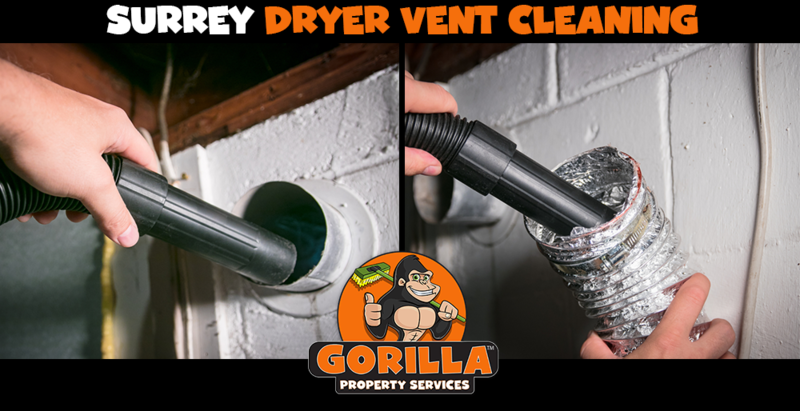 Our Gorillas ensure that blockages are not only removed, but that the sides of dryer ducts are scrubbed clean. Each and every Gorilla specialist is local to your area, so you will never be left waiting for service.